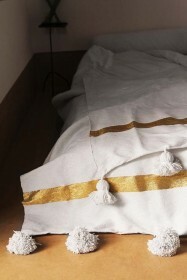 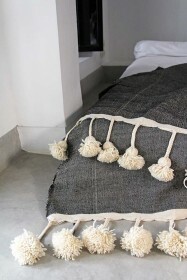 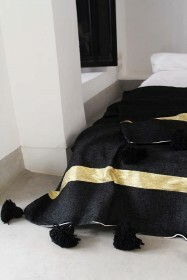 A delightful mix of old and new, the stunning Cotton Pom Pom Blankets are handwoven on traditional wooden looms using weaving and dyeing techniques that have not been changed in over fifty years. 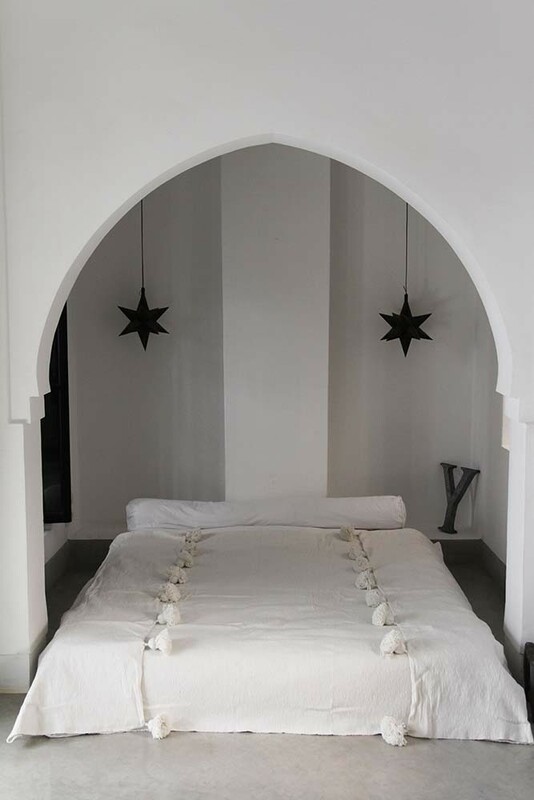 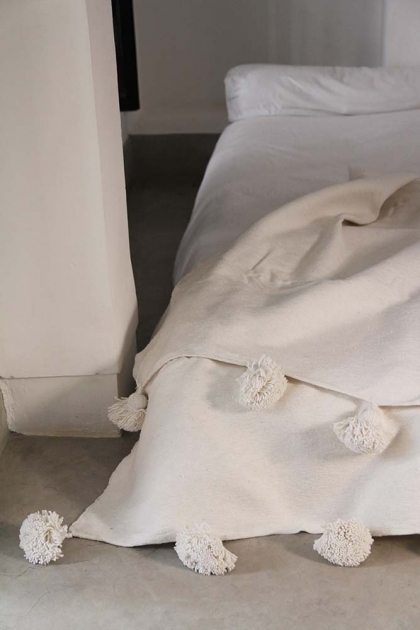 Big and beautiful the Moroccan Pom Pom Blanket – All White is the perfect bedspread and is large enough to cover a king size bed. 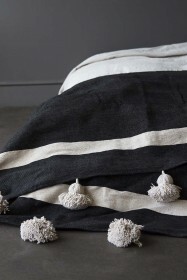 Easy to style throughout the home, why not cover the back of your armchairs or sofa with the Cotton Pom Pom Blanket or alternatively take them outside during the warmer summer months and snuggle up in them whilst dining alfresco? 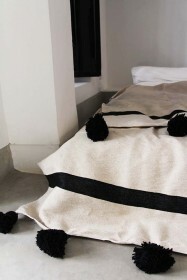 Beautiful blankets that are authentically made – we hope you love them as much as we do. 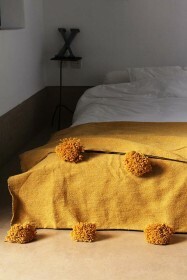 The Cotton Pom Pom Blankets are available in a range of colours including: Black/Ivory, White/Gold, Natural/Black, Mustard and Black/Natural.